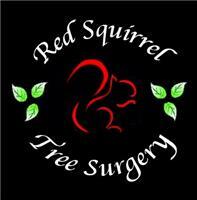 Red Squirrel Tree Surgery is a family run company that takes pride in every job, All of our team are fully qualified and experienced in every aspect of tree surgery. We are very competitive, hard working, honest and will always aim to give you as many options as possible until we discover what is best for you, neighbours, structures and of course the tree. Once you have contacted us we will send one of our team to talk to you about what would be best for you and your tree. You will then receive a written quote (via email) within a matter of hours. We hold a £5 million public liability insurance policy for peace of mind.